I have a confession to make: I know nothing much about skin care products. I just wasn’t exposed to them, I guess? I didn’t experience a zit phase and having dark spots on my face (other than my freckles) and body wasn’t something I had to contend with until I got pregnant with our youngest son, Judah at the age of 35. I practically got away using whatever soap there was on the soap dish although I did try a couple of local moisturizers, a toner, and (beats me why!) that peeling liquid you put on your face? I forgot what brand that was, but my mind was always busy wandering somewhere else to remember applying it religiously everyday. As I’ve mentioned above, at 35, I started experiencing dark spots during my pregnancy. Although most of those dark spots have gone away after giving birth, the ones on my elbows, my gluteal folds and ankle bones remain. I’m not really the type who splurges on my physical appearance other than an occasional foot spa or a visit to the salon, heck! I don’t even put makeup on unless it’s a must, but I guess there comes that time in a woman’s life when you have to really start taking conscious effort on your appearance. My husband adores me, I know, but I want to make an effort to stay attractive for him especially now that we’re getting older. I want him to see that I care enough to be pretty for him. I’ve read so many accounts on Godiva and the feedback’s quite good. I’ve been eyeing two local brands of facial cream for some time now but they’re so pricey. Godiva products, on the other hand, are very affordable. On Selfie fails and Godiva results! I wanted to document my journey with pictures so I did my best to get before and after selfies. Unfortunately, I found out that selfies aren’t easy to take. Before I share with you my selfie-fails, let me just tell you about my experience with these products. First of all, when you read the instructions and the descriptions, the emphasis is on the lightening ingredient they call “licowhite”. There’s nothing in the package that says your skin will soften, smoothen and glow. 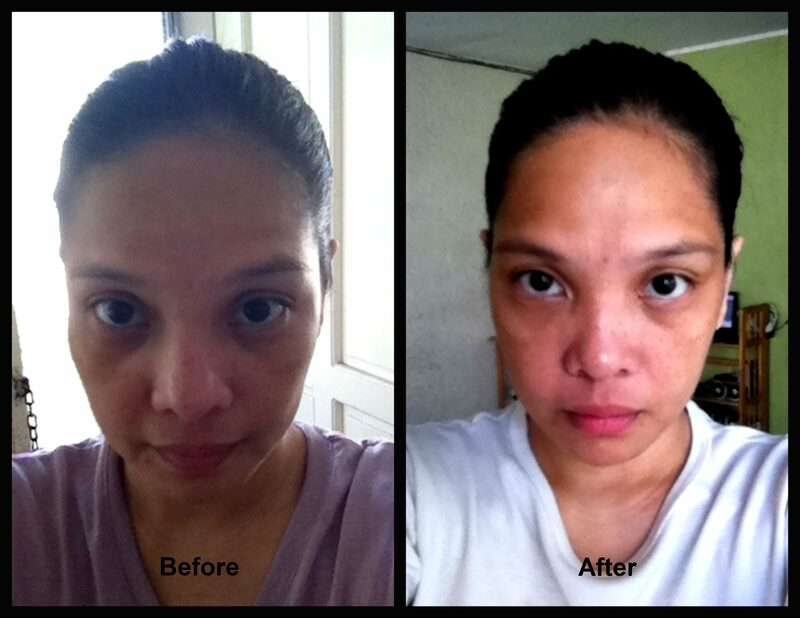 So I was pleasantly surprised that after a week’s use, my skin developed a wonderful glow that my husband noticed. Even my armpits feel smooth and dry, thanks to the Anti-perspirant deodorant included in the line. And you know what else Jay said? He told me that the dark parts in my inner thighs have lightened considerably after applying lotion on my body twice a day. I’m really happy with this. 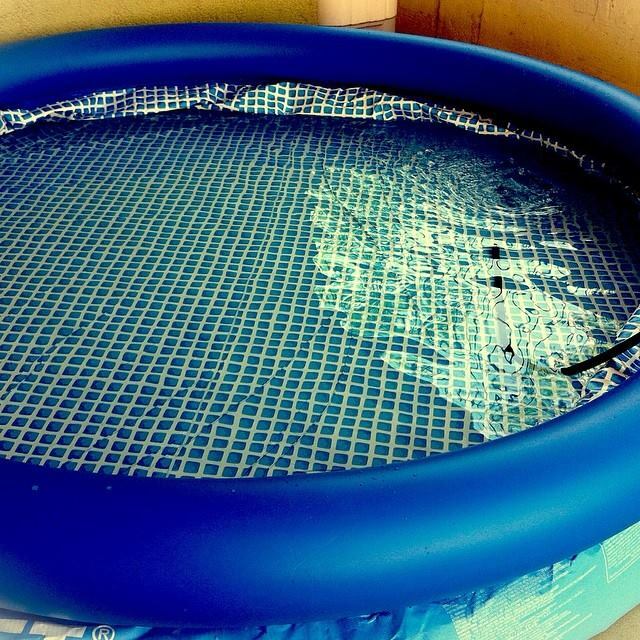 Bikini, here I come! Okay, so maybe after I shed some of these pounds. At least my folds are ready! I still have freckles but my face has lightened that only the most stubborn dots on my face remain visible. It’s only been seven days, after all. 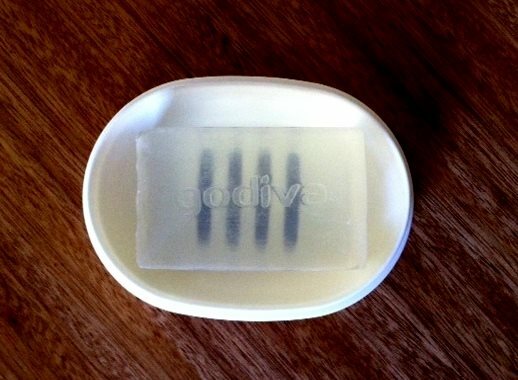 I love the scent of the soap, I don’t know what it’s called but it smells really….fresh and clean. If you’re familiar with Cetaphil which is a popular brand for infants, that’s basically how Godiva facial wash looks and feels like in your fingers. It leaves your face feeling fresh and not dry at all. At first, I didn’t like having to put toner because I had to wait for my face to dry before I put cream on, but I realized it was because I put too much of it. 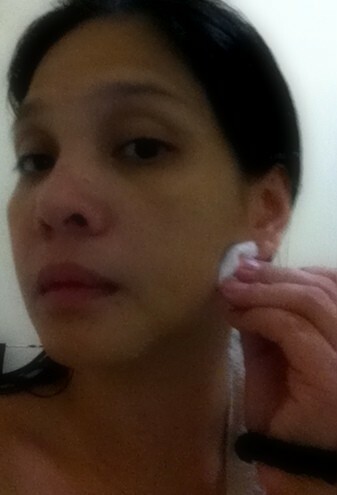 I got the hang of it after a few days and needn’t wait as long to apply the facial cream. As you can see,I’m a terrible selfie-taker! I hope though that you can see the natural glow of my skin hit by the morning light in the “after” picture, that’s natural and un-photoshopped. I love that it’s not oily at all! Safe and effective products for affordable cost! I intend to carry on with the Godiva natural skin care products that I’ve tried. And why not? I’ve seen changes on my skin that I didn’t even expect. 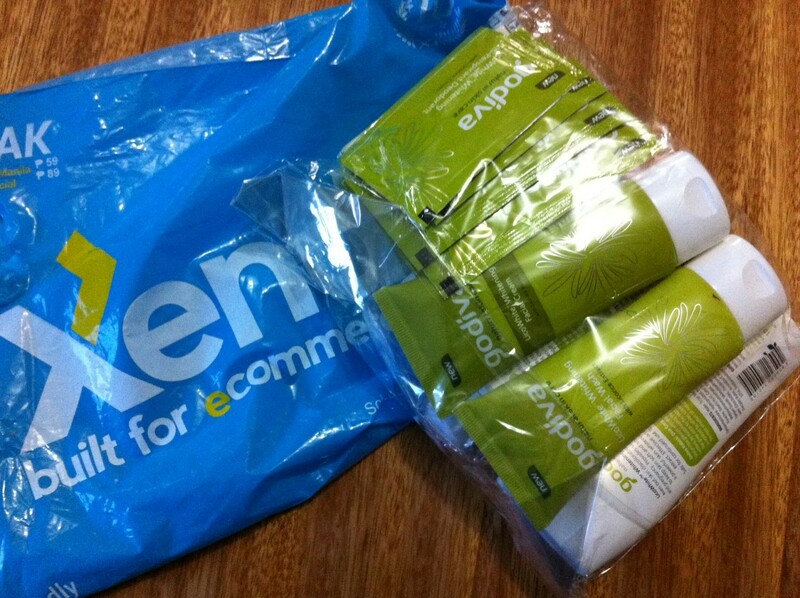 Not to mention that they’re very much within budget – Php35 for the soap and the whitening lotion for Php 132. All others are priced between that. They are also safe enough for pregnant and nursing women to use. Despite it’s gentleness on your skin, licorice, the key ingredient in Godiva products, is “10x more powerful than Vitamin C, 30X more active than popular whitening products ingredients, Melawhite and Kojic acid and is 16x more effective than hydroquinone.”There have been no reports of irritation, allergy or redness resulting from product testing. Local residents may purchase online through Godiva Natural Skin Care on Facebook while international buyers may visit Godiva Natural Skin Care official website. I’m a happy consumer and I know I’m not the only one. I’m confident to say ‘go ahead and try it yourself’! Note: Although I have received free Godiva natural skin care products for review,my opinions stated here are sincere, unbiased and based on my experience using the products. “At least my folds are ready!” — I can’t get over this! Hahahaha! Oh, and I love the selfies! 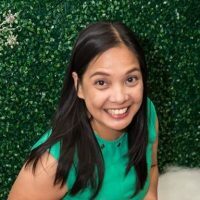 Ako din forever fail, not good for beauty blogger! Haven’t tried Godiva but I’m glad there are more choices for natural skin care products out in the market nowadays. I was so worried about trying these products at first coz the week before they arrived I had a major atompic dermatitis breakout. Oh my gosh, everything was so mild and skin-friendly that I my skin wasn’t the least bit irritated by them! 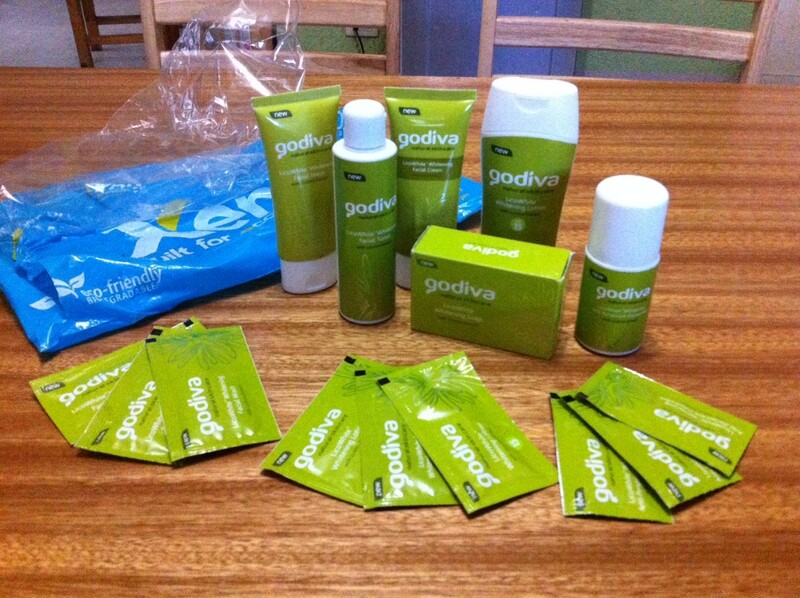 Super love Godiva, and super glad I got to try these products or I never would have known. oh wow. i would be scared too if i were in your place. i actually hesitated din because my mom had steven johnson’s syndrome and that’s usually caused by a chemical in a beauty product or meds. I want to try Godiva! I also have some dark spots I want to whiten. I used Godiva before and love love the scent of their products.